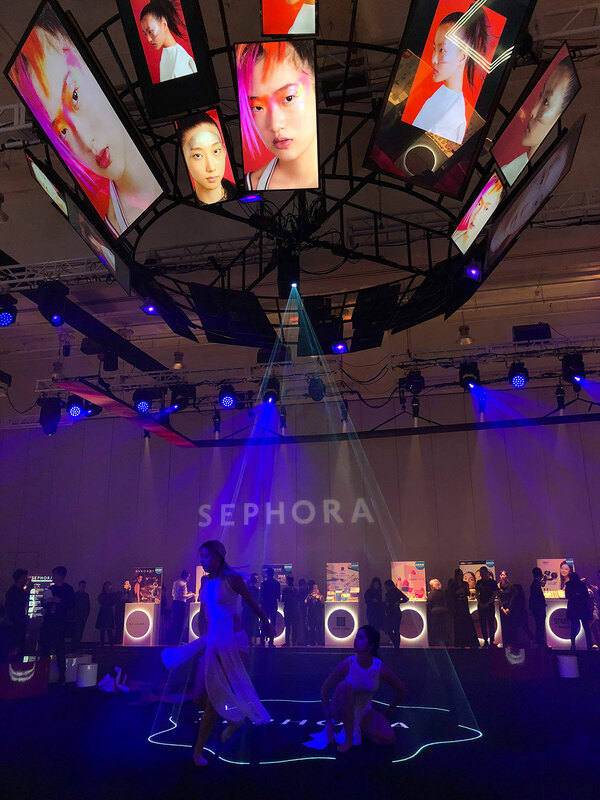 On October 25, 2018, the UNITOUCH brand followed SEPHORA in the pursuit of unlimited beauty! Sephora is regarded as a global pioneer for high-end cosmetics retail due to its insights into fashion trends and its leading influence on cosmetics. On October 25th, Sephora launched its 2018 autumn and winter beauty trends, bringing together the world's most stylish, hottest, and latest beauty trends, vigorously leading the new trend of beauty! As an exclusive brand of SEPHORA, UNITOUCH released its 2018 autumn and winter exclusive new product portal, defining your individual boundary of beauty. 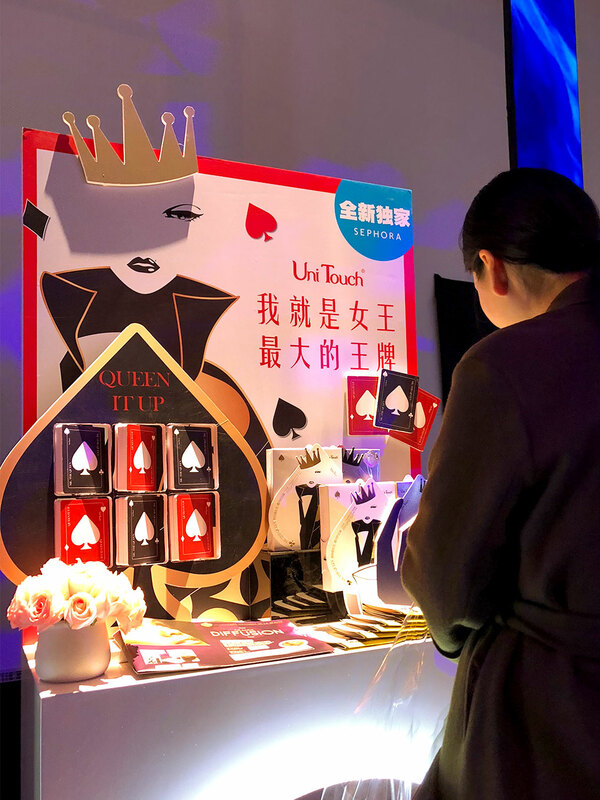 In October 2018, UNITOUCH’s new series of masks "ME, THE QUEEN" debuted in SEPHORA stores across China! 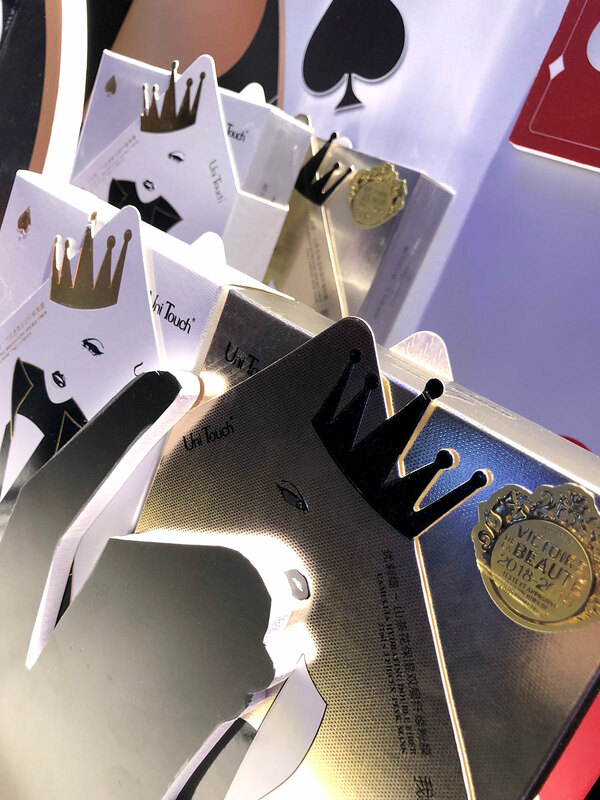 Among the "ME, THE QUEEN" series, the Camellia Essence Double-layer Fiber Powder Mask won over discerning French judges with its unique double-layer fiber and excellent soft sensation after usage, winning this year’s “les Victoires de la Beauté”, a French Beauty Oscar Competition. 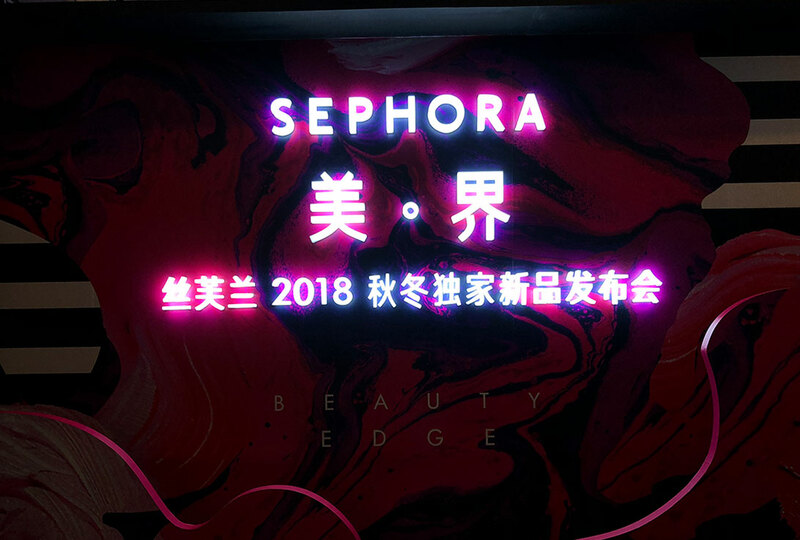 It has also become the focus of Sephora's 2018 autumn and winter launch! 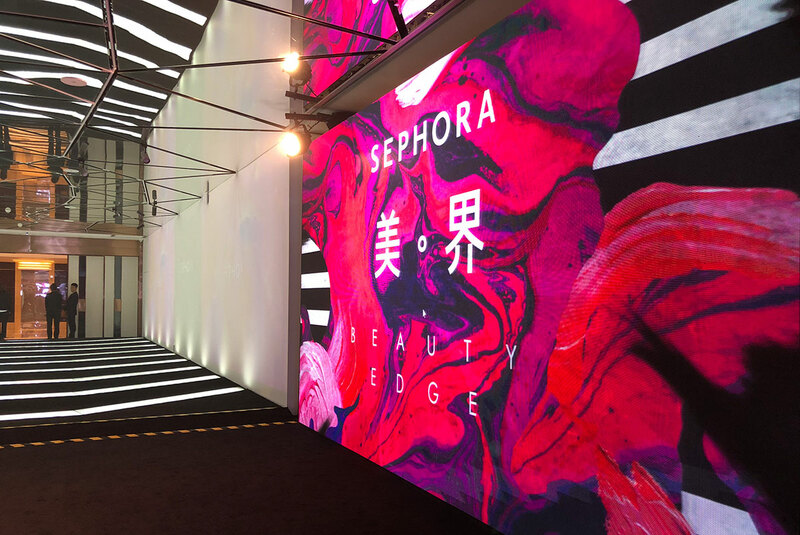 The installation concept of the 2018 Sephora Fall Media Day shows how UNITOUCH is dedicated to our supreme and noble women. With the spades and red hearts of mysterious playing cards, combined with the the charms of the Queens, it presents the honorable atmosphere of the new series of Queen's brand masks from UNITOUCH, combining the glamorous eyes of queens to present UNITOUCH’s honorable ambiance of UNITOUCH’s “ME, THE QUEEN” series. In order to truly solve the problem of women's skin, ME, THE QUEEN mask utilizes L-arginine, the skin vasodilation technique which won the Nobel Prize in 1988. L-arginine serves as a technical application of efficient metabolism on the skin, enabling all women's skin to shine with confidence! 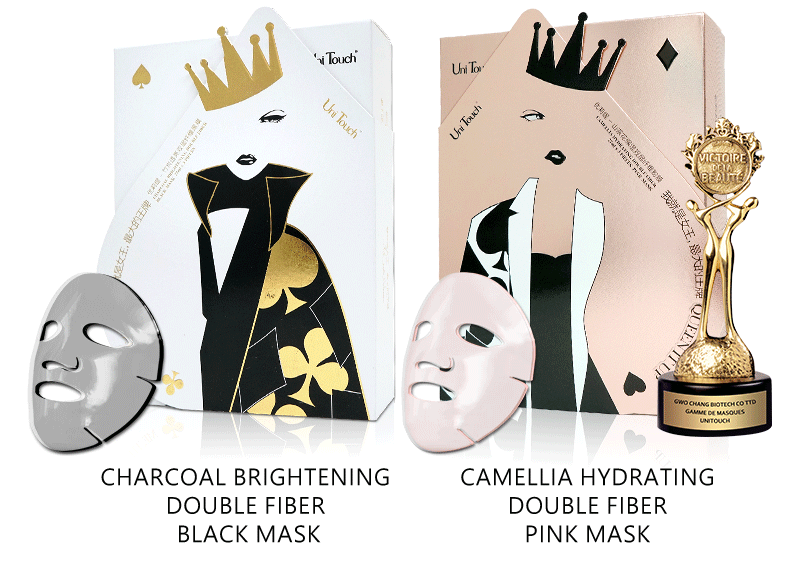 The ME, THE QUEEN series consists of Bamboo Charcoal Essence Double-layer Fiber Black Mask and Camellia Essence Double-layer Fiber Powder Mask. Each box has 3 pieces (retail price 218 RMB). 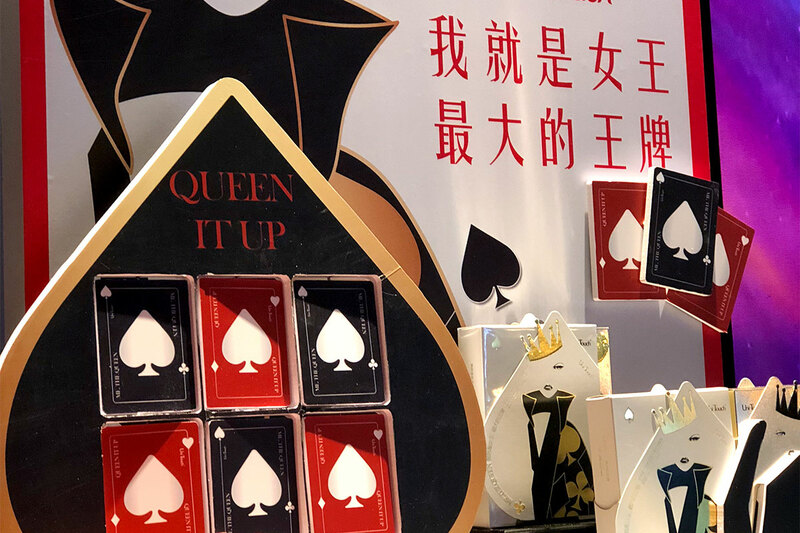 UNITOUCH’s ME, THE QUEEN series mask can be purchased at 226 Sephora stores in China. 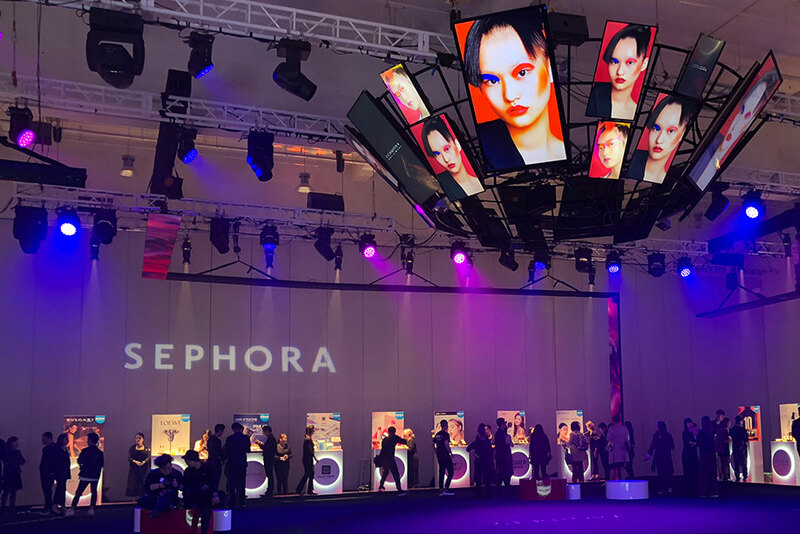 UNITOUCH is honored to be invited to participate in the 2018 SEPHORA Autumn and Winter Exclusive New Product Launch. 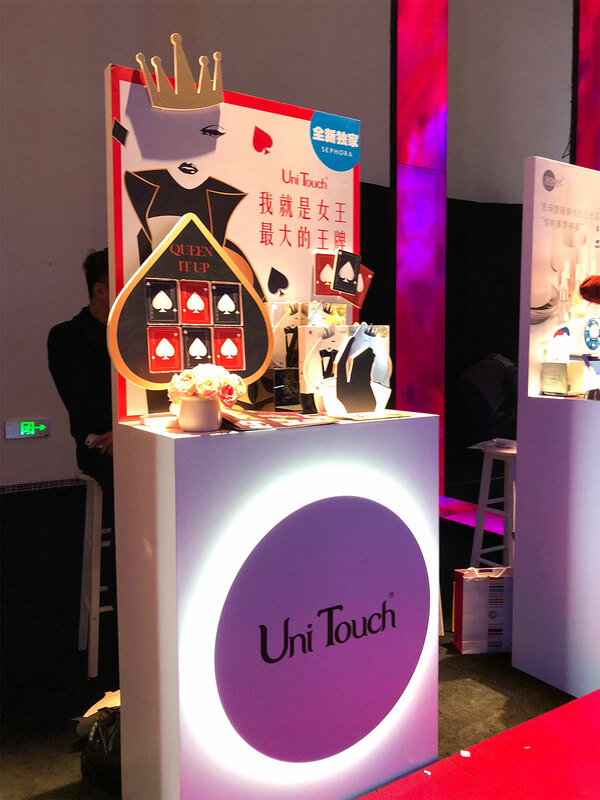 As the world's leading brand of zero-added technology masks and SEPHORA 's exclusive entry brand, UNITOUCH is expected to launch a new research and development project, as well men's limited exclusive masks, in the first season of 2019, so that consumers on site who love UNITOUCH masks will be filled with anticipation.